Fabrics / Fabric merchants: Nowaczuk H.
Blacksmiths: Lachowski T. – Terzezynski A. Mills: Geller F. – Isakuk A. 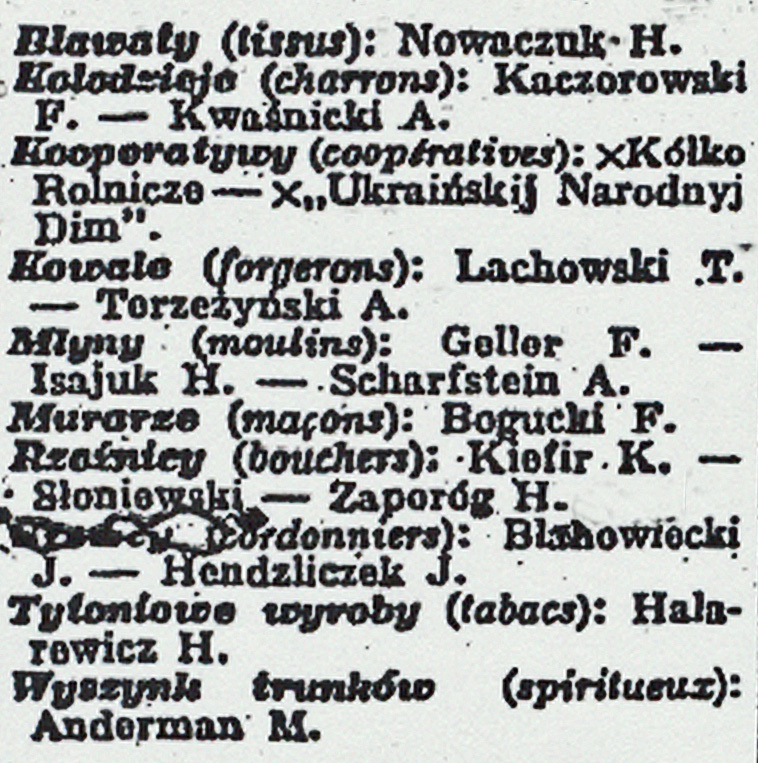 – Scharfstein A.
Masons / Bricklayers: Bogucki F.
Butchers: Kiefir K. – Sloniewski – Zaporóg H.
Licensed Public-Houses / Taverns: Anderman N.
X before name indicates that it was a Registered Business or Firm = ®. Two commas following the X mean a Registered Association.